When we look at the web browsers available today, we are seeing an increasingly high level of web standards support (including some support for new and future standards such as CSS3 and HTML5), performance and available developer tools, and Opera are certainly no slouches in this regard. Their standards support is second to none, they produce some of the most compact and fastest browsers in the world, and their mobile and alternative device browsers (including the Nintendo Wii browser) provide for a great web experience, regardless of device, platform or taste. Digital Web grabbed a few words with Jan Standal, director of the Opera product management and developer relations team, and Chris Mills, Opera’s developer relationship manager, to talk about why designers and developers should consider choosing Opera, and spill the beans on what Opera has got coming up in the near future in terms of their next desktop browser and other exciting technologies. Digital Web: So what makes Opera cool, in general, and different from other browsers? Chris Mills: Where to start? I’ll look at the other major browsers available first. Safari is a great browser, and wonderfully integrated on the Mac platform (I’m a Mac user myself—you can’t fault it on many things) and now also on the PC too—if there was anything to criticize, then maybe it would be the slightly limited options available for customisation. Firefox is good in many ways, and obviously the darling of the web developer crowd because of the tools available for it. But it’s not without issues—its very open extension development policy does lead to security issues, and it does tend to be a sludgy memory hog when you’re trying to do a lot with it. And Internet Explorer is just Internet Explorer… let’s just say I’ve never been the biggest Microsoft fan, but IE7 is certainly better than what went before, and standards support will hopefully get even better, with IE8 promising to support Acid2 in the final release version. Opera is cool for three main reasons. First, it’s got a very small footprint on your system, and runs faster than other browsers without eating your system memory. Second, it’s available for pretty much any device you’d care to browse on, whether it’s a Linux, PC or Mac box, any mobile phone (Opera Mini will run on any phone with a JVM available) or even games consoles! Third, it’s got great standards support, so developers can pretty much be assured of their current sites working in it, and also start to play with future technologies such as CSS3, HTML5 (including the <canvas> and <video> elements and web forms 2), and SVG 1.2. And we’ve got major improvements on the horizon. Two main criticisms of Opera have always been the Mac version in general, and the lack of developer tools available. We’ve already improved the general Mac user experience, look and feel and general performance with our latest release (check out beta 1 of Opera 9.5) and we’re currently working hard on a new range of developer tools that we think people will really be impressed with. DW: Why should I test in Opera instead of Firefox? I need those plugins! Jan Standal: Opera is simply the most customizable browser available, out of the box—you can set exactly the buttons you want to appear on your toolbar, apply user CSS and JS files to certain sites, and set custom searches and site-specific behaviours. Our end users love us for giving them this extreme degree of control. In addition, we now have a very robust and extremely fast rendering engine, which we are very proud of—the newest version has much better standards compliance, and is more solid than before (we have fixed most of the bugs that got people’s backs up in the past). The new engine is being shipped in all modern and future versions of Opera, and probably features the most complete web standards support in the industry. DW: So are there any existing plugins or add-ons? DW: Tell me a bit more about Opera’s mobile browsers. CM: We have Opera Mobile, and Opera Mini. 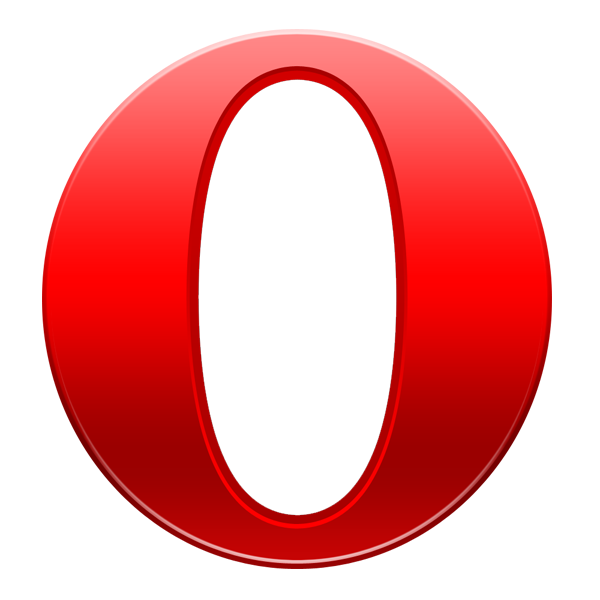 Opera Mobile is a pretty full-featured mobile browser, with the same standards support as the desktop browser (it is based on the same core code) and many of the same features, including widget support. Because of this, it needs a reasonably high spec phone to run, but it is very powerful. The next release (version 9) will blow people away—we think it will provide a better web user experience than the iPhone, and of course Opera can run on other handsets, so you’re not locked in. Opera Mini on the other hand, is a very clever browser designed to run on pretty much any phone that can run a JVM. You install the teensy little client, and then when you make a request, it is sent to our bank of Opera Mini servers. Those servers then find the page you want, specially format it and compress it by about 80%, and send it to your phone for viewing. The result is a very small file size, saving you bandwidth and therefore money as well as time, and a page that you can view even on your low spec phones. It has some limitations (such as limited Ajax support—see here for more on the exact nature of these limitations) because of the way the service works, but then again it should provide an impressive experience for any page on the web, as long as they are designed with best practices in mind, such as progressive enhancement. DW: What was the motivation to build Opera in the first place? JS: Opera is the longest standing web browser company in the world. It originated from an R&D; activity in Telenor (a Norwegian telecom company) back in 1994 and the first public version was Opera 3, which shipped in 1997. The founders, Jon von Tetzchner and Geir Ivarsoy, believed from the very beginning that the Internet of the future was going to be available for any device, and as such Opera has, since the very beginning, been designed to run on any hardware. DW: Why should I use it for regular desktop browsing? CM: Many reasons. Again, there’s the sheer speed that it renders pages with. And then there’s the many great features we have, such as speed dial to access your favorite sites with a single shortcut, mouse gestures to allow you to perform common browsing activities with a single mouse movement, session restoring so that if your OS crashes or you accidentally close the window, it will bring all your windows and tabs back up just the way they were, integrated mail and RSS clients to save you the trouble of having multiple programs open, a great ad blocking feature, instant searches right in the address bar (for example, type in “g apples” to search for apples in Google), and full text history search (so you can search for pages in your browsing history by all the text in the pages, not just by page title or URL). For even more great features, see http://www.opera.com/products/desktop/features/. Some readers may be quick to point out that a lot of Opera’s best features are also available in other browsers. That’s fair enough, but remember that we were the innovators for a lot of these features—we invented many of the popular features you see in most browsers these days, such as tabbed browsing. DW: Are there any cool tricks we should know? JS: One of the most useful features for me is the “create search”. With this feature you can make any search engine into an integrated search in the browser. This is extremely useful for me and provides, for example, quick access to whitepages or our intranet. DW: What do you see for the future with Opera? As an Opera developer, what is on your wish list? JS: We are seeing more and more that people want to access their online data and services from all sorts of devices, so we are making this easier for people by focusing on convergence of these different devices. We work hard to ensure an equivalent user experience across all devices and platforms, and are starting to provide services such as Opera Link, which allows you to store all your bookmarks and other settings on the web, and access them from any device. This is only the tip of the iceberg—more enhancements and new technologies will follow, allowing us to keep up our reputation as one of the most innovative browser companies. Jan Standal currently leads the product management team for Opera’s consumer products. Before this, Standal worked with Opera’s corporate strategy for two years, and before that, Opera’s mobile products for three years. Chris Mills is a developer relations manager for Opera—he edits and publishes articles on dev.opera.com and labs.opera.com, liaises with the community to raise awareness of Opera and collect feedback, and evangelises about Opera software wherever he can. Outside of work, he is an extremely avid music fan, enjoying playing and listening to a wide variety of music, including metal, folk, punk, electronica, prog, and more. His main band at the moment is the mighty Conquest of Steel—http://www.conquestofsteel.co.uk.